Before Matt Damon starred in “Good Will Hunting,” he really hit the books at Harvard. And before James Franco turned on his wild side in “Freaks and Geeks,” the maths wiz interned at Lockheed Martin. 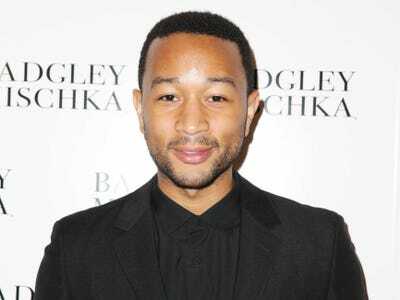 We rounded up 30 celebrities who are high school valedictorians, Ivy Leaguers, MENSA members, and certified geniuses in their own rights. These stories of actors, musicians, and TV personalities’ brilliance may surprise you. Growing up under Brian Williams' roof, the 'Girls' actress wasn't allowed to act professionally until she graduated from college. She studied English and archaeology classes at Yale -- taking the kind of classes that make you feel like 'lying on the ground thinking about things,' she says. Ashton Kutcher anticipated acceptances to both MIT and Purdue to study engineering. But the former 'Punk'd' host lost his scholarships when he broke into his high school as a prank. He ended up at the University of Iowa, but dropped out at age 19 to pursue modelling. 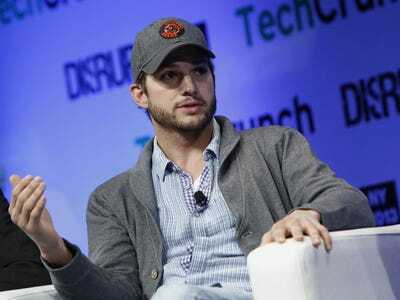 Kutcher now divides his time between acting and smart investing -- in companies like Airbnb, Spotify, and Foursquare. 'The sexiest thing in the entire world is being really smart,' Kutcher said at last year's Teen Choice Awards. Cindy Crawford studied chemical engineering on scholarship at Northwestern University. By '85, she appeared in the pages of Vogue, and would go on to become one of the original Big Six supermodels. 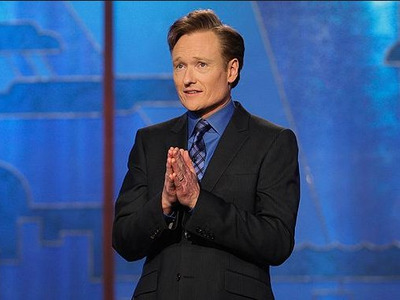 Conan O'Brien was a history and literature major at Harvard University, where the school newspaper dubbed him the 'pre-eminent jokester' of the class of '85. It makes sense, as he was also the president of the Harvard Lampoon, a semi-secret social organisation that published a humour magazine. David Duchovny attended not one, but two Ivy League schools. 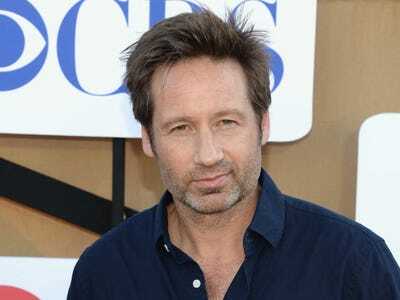 The 'X-Files' actor graduated with a B.A. in English literature from Princeton University. He also earned his Master's in English lit from Yale University, but abandoned his Ph.D. studies there when he booked a beer commercial in '87. After graduation, Norton moved to Osaka to consult on behalf of his grandfather's non-profit, Enterprise Foundation, a leading provider of capital and expertise for affordable housing. There he studied Aikido, a martial art, and became fluent in Japanese. This spring, the 'Harry Potter' actress walked across the commencement stage at Brown University, where she earned a bachelor's in English literature. She also pursued studies at Oxford University during her Ivy years, and took a year off in 2011 to film. This year, Watson was appointed UN Women Goodwill Ambassador, and gave an impassioned speech about women's rights. 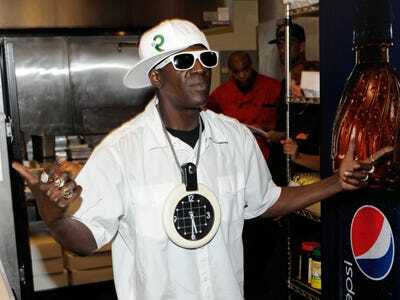 Flavour Flav was a musical prodigy as a child. lavor Flav co-wrote the first Public Enemy album, heralded for its militant, revolutionary lyrics. Still, he's remembered most for shouting 'Yeahhh boyyyy!' and 'Flavour Flav!' during performances and on a string of VH1 reality shows. The wall clock-wearing hype man grew up as a musical prodigy, cutting classes to hang out in the band room. He could play about 15 instruments, and learned to play songs by ear. Jake and Maggie Gyllenhaal both studied at Columbia University. When Maggie Gyllenhaal returned to her alma mater to accept a personal achievement award, she said her Columbia education taught her to 'acknowledge that I really know nothing.' A thirst for knowledge led her, as a first-year English student, to sneak into the dean's senior seminar. Little brother Jake Gyllenhaal enrolled when Maggie was a senior, and hoped to major in Eastern religions. 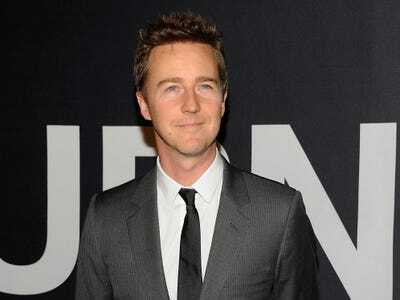 Following the success of 'October Sky,' he dropped out after his sophomore year to concentrate on acting. In high school he played a class-cutting 'Freak,' but young Franco was a maths wiz who interned at Lockheed Martin. James Woods had near-perfect SAT scores, and an IQ of 184. Woods was a brilliant student who achieved a perfect 800 on the verbal and 779 on the maths portions of the pre-1995 SAT. He enrolled in a linear algebra course at UCLA while still in high school. He studied political science at MIT on a scholarship and revealed on 'Inside the Actors Studio' that he has an IQ of 184. 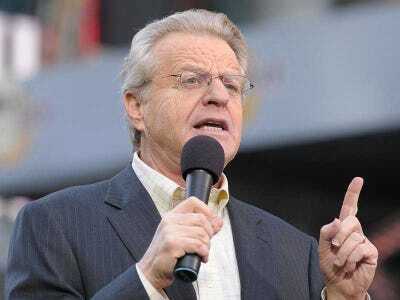 Jerry Springer was a campaign advisor to Robert F. Kennedy and dabbled in politics. 'The Jerry Springer Show' host earned a law degree from Northwestern University and became a campaign advisor to Robert F. Kennedy in 1968. He made a splash in Cincinnati politics, being elected to the city council at the age of 27. He resigned in 1974 after admitting he wrote personal checks to prostitutes, but Springer bounced back quickly, winning Cincinnati's mayoral race in '77. 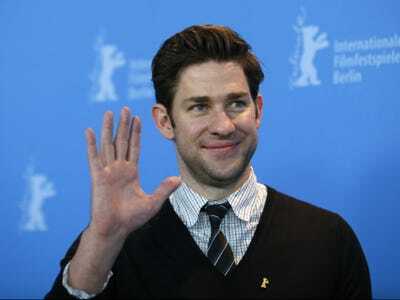 Krasinski spent some time teaching English in Costa Rica before enrolling at Brown, where his favourite classes were 'Management of Industrial and Nonprofit Organisations' and an introductory biology course. 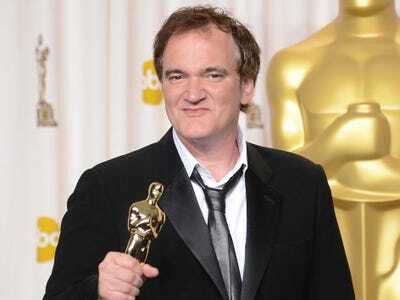 He later held an internship at 'Late Night with Conan O'Brien' before getting cast himself on the big screen. The soulful singer was offered scholarships to Georgetown, Morehouse College, and Harvard, but he turned them down to go to UPenn, where he studied English and African American literature. He also served as president and vocal director for the co-ed a cappella group Counterparts. After the success of 'The Fast & the Furious,' Brewster left Hollywood to study English at Yale. She was grateful that her budding celebrity status eclipsed her identity as the granddaughter of former Yale President Kingman Brewster. A young Kate Beckinsale was singled out for her intelligence in grade school; her school reports cited a reading level of an 11-year-old when she was just six. Before performing her notable role as Selene in 'Underworld,' Beckinsale studied French and Russian literature at Oxford University's New College, and still fluently speaks both French and Russian, as well as German. 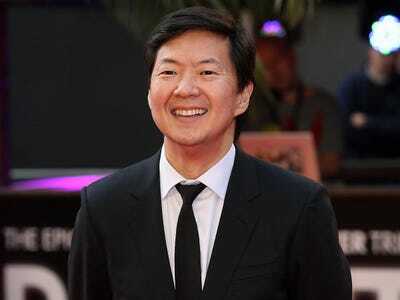 Best known for his role as Mr. Chow in 'The Hangover,' Jeong studied pre-med at Duke University, got his MD at UNC Chapel Hill, then completed his residency in New Orleans. 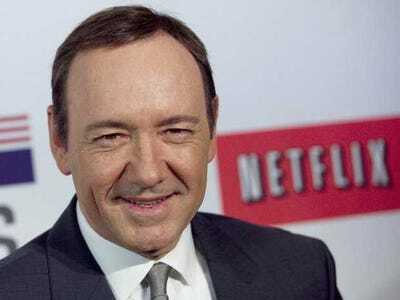 Kevin Spacey is a Juilliard-trained actor. A dark comedy genius, the 'House of Cards' star is today an outspoken advocate for the 'Netflix model' of television. He's written and spoken at national media conferences about the changing channels of entertainment distribution. Kudrow graduated from Vassar College with a degree in biology, and after graduation, began working with her father -- a world renowned headache specialist -- on a study concerning hemispheric dominance and headache types. Matt Damon hatched the idea for 'Good Will Hunting' as a Harvard student. A playwriting class assignment at Harvard led Damon to develop a rough version of 'Good Will Hunting.' He later completed the project with his childhood friend Ben Affleck, who also stars in the film. The lead in NBC's 'Blossom' as a kid, Bialek went on to get her bachelor's degree in neuroscience and Hebrew/Jewish studies from UCLA in 2000. She took a break from her studies in 2005 to go back to acting and made a huge splash as the uber-smart Amy Farrah Fowler on 'The Big Bang Theory,' but finished her Ph.D. in neuroscience in 2007, specializing in Obsessive-Compulsive Disorder in adolescents with Prader-Willi syndrome. The New York Times called him 'one of the most accomplished cardiothoracic surgeons of his generation.' 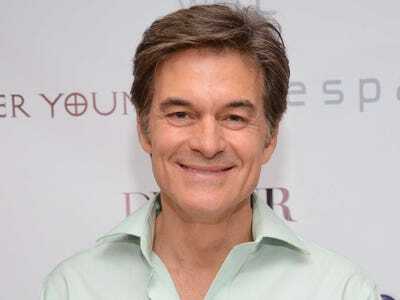 Made famous by his 55-plus appearances on 'The Oprah Winfrey Show,' Dr. Mehmet Oz has performed more than 5,000 heart transplants in his career. Oz studied at Harvard and UPenn, where he earned both his MD and MBA. He served as director of the Cardiovascular Institute of New York -- Presbyterian Hospital/Columbia University Medical Center for eight years. The 'Black Swan' lead has a bachelor's degree from Harvard -- making her the first alum to win an Academy Award -- and took graduate courses at Hebrew University in Jerusalem. She enrolled at Harvard as Natalie Herschlag, her birth name, for the anonymity, but her professors noted that she was an exceptional student. Despite his intelligence, Tarantino never liked school, except for history class 'because it was kind of like the movies,' he told Entertainment Weekly. Rashida Jones got her B.A. in comparative religion from Harvard. The daughter of Quincy Jones displayed musical and theatrical talents as a student at Harvard, writing music scores and performing in campus plays. Still, the 'Parks and Rec' actress earned her degree in comparative religion. Jones is currently co-writing 'Toy Story 4,' which arrives in theatres summer 2017. Sharon Stone received a college scholarship at age 15. She described herself as 'a nerdy, ugly duckling,' according to her online biography at Penn State University Library. In 1997 Martin, who has an IQ of 142, wrote a piece for The New Yorker about his efforts to get into MENSA, which took a year. The California State University grad majored in philosophy and almost became a professor. 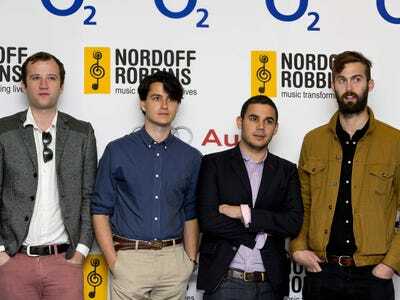 The four members of the band Vampire Weekend studied at Columbia University together. 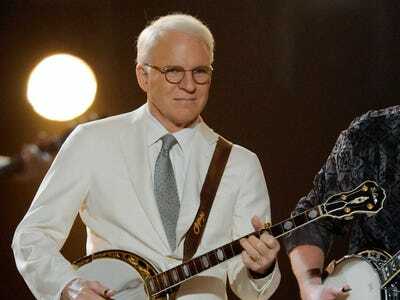 Before the band made it big, they worked jobs as an eighth-grade English teacher, an archivist for SONY BMG, and a film score composer's assistant.